There isn’t any area of family law that can be more important or emotionally taxing than cases involving the welfare and development of a child. When it comes to family laws in Massachusetts and children, the courts work as best they can to ensure the best interest of the children is upheld. When it comes to decision making and residential responsibility, the best interest of the child may not be so easy for two parents to agree on. When disagreements come up or when a parenting plan needs modification, a skilled family law attorney can be your greatest asset. The Law Office of Stephen M. Forlizzi has over 30 years of experience helping Massachusetts families find common ground and resolutions that can be favorable to everyone involved in a family law case. At the Law Office of Stephen M. Forlizzi, we will explain the Massachusetts residential responsibility laws and help you decide the best course of action. Our firm will listen to the details of your case and give you honest advice and guidance. We are dedicated to the families we help whether it is your first time dealing with a parenting plan or if ongoing issues mean you need help as soon as possible. There are different types of decision making and residential responsibility rights that families can decide to follow or can petition to have modified. Sole decision making rights mean one parent is legally responsible for the major decisions that need to be made. Those decisions can pertain to education, health care, religious rights and affiliations, and other decisions that can impact the emotional and physical well-being of a child. Shared decision making means both parents mutually decide and agree on the major decisions that need to be made. Primary residential responsibility means a child is under the supervision of one parent but does spend some time with the other. Shared residential responsibility means the child spends significant time with both parents and both parents have supervision over the child. As a child grows and their needs change, there may be the need to revisit residential responsibility agreements or details. Parents’ lives can also change, such as getting a new job or relocating. These changes may need to be negotiated. Having an experienced legal professional handle that aspect of your case can help you get the outcome you need. Our firm has the compassion needed to work with you and your child and the aggressiveness needed to ensure parental rights are protected. There is too much at stake to not have a trusted attorney in your corner. 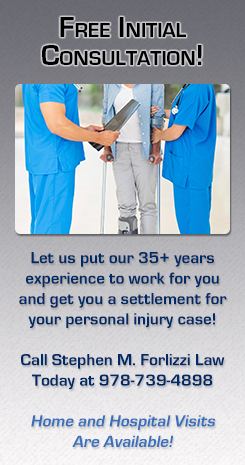 Call us for a free consultation and let us help you through this difficult time. Click here to contact and speak directly to a family lawyer today for a free consultation – 978-739-4898.